We offer a number of consulting services. If you would like to request any of the services listed below then please click on the blue link or heading and fill out the form so that we can contact you and schedule a time to come to your property site. 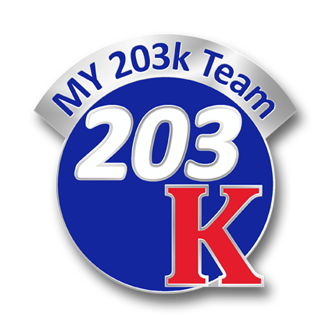 • 203k Consultation - Order HereIf you want a full consultation we typically charge $600 up front at the time of the inspection as that is the average fee for the 203k consulting nationally and has been for many years. If the fee is determined to be greater or lesser then we refund or bill escrow for the difference when the escrow closes. The fees are from our "Adjusted HUD Guideline" and range from $400-$4,500 depending on the number of units and the cost of repairs. • 203k Feasibility Analysis - Order HereThis product is only $350 no mileage. We create a very quick deficiency list & approximate costs to repair, add a 20% contingency, apply our fees for a full consultation, & provide a comment that let's you know our opinion of the maximum you should pay for a property. In many cases we provide you with a 'disclosure' to give to the seller that now puts them on notice that there are issues they may not have been aware of that they must now disclose to prospects. • Health and Safety Inspection - Order HereHealth & Safety inspections offered for public housing or housing authorities to verify and report on the condition of the unit or home. • Occupancy Inspection - Order HereForeclosing and want me to go by and see if the occupants have moved out? Not a problem. If we can't tell when we drive by we'll stop and knock on the door. Then we send you a short email report telling you what we found. • Draw Inspection - Order HereDraw inspection to verify completion of specified work from the job specifications and draw request form. • 203k Ride Along - Order HereAvailable for a fee of $150.00 is the opportunity for prospective consultants to 'ride along' on a 203k inspection and see one done in person from start to finish.